Search Results for "sydney time lapse"
SYDNEY, AUSTRALIA - SEPTEMBER 16, 2016: 4K Cinematic Time Lapse Footage for Sydney city skyline at sunrise, taken from Blues Point Reserve north of Sydney. SYDNEY, AUSTRALIA - SEPTEMBER 16, 2016: 4K Cinematic Zooming In Time Lapse Footage for Sydney city skyline at sunrise, taken from Blues Point Reserve north of Sydney. 4K cinematic sunset zooming in time lapse footage of the Three Sisters in Blue Mountain, New South Wales, Australia. 4K cinematic sunset panning left to right time lapse footage of the Three Sisters in Blue Mountain, New South Wales, Australia. SYDNEY, AUSTRALIA - SEPTEMBER 16, 2016: 4K Cinematic Zooming Out Time Lapse Footage for Sydney city skyline at sunrise, taken from Blues Point Reserve north of Sydney. 4K cinematic sunset zooming Out time lapse footage of the Three Sisters in Blue Mountain, New South Wales, Australia. SYDNEY, AUSTRALIA - SEPTEMBER 16, 2016: 4K Cinematic Panning Left to Right Time Lapse Footage for Sydney city skyline at sunrise, taken from Blues Point Reserve north of Sydney. 4K cinematic sunset time lapse footage of the Three Sisters in Blue Mountain, New South Wales, Australia. SYDNEY, AUSTRALIA - SEPTEMBER 16, 2016: 4K Cinematic Zooming In Opera House Time Lapse Footage for Sydney city skyline at sunrise, taken from Blues Point Reserve north of Sydney. Sydney City time lapse in the morning with glowing clouds. Sydney cityscape with panorama view, New south wales, Australia. 4K Cinematic Sunset Time Lapse Footage of Sydney Harbour Bridge taken from Milson Park at Kiribilli, North Sydney, Australia. Timelapse of the Opera House and harbour bridge in Sydney australia during a beautiful sunny day with blue sky and a lot of boats passing. Time lapse in Darling Harbour, Sydney Australia with people flowing and a ferris wheel in the background. Timelapse of ships moving around in the harbour of Sydney in Australia. Timelapse of christmas shoppers along busy George St Sydney with Christmas street decorations and ornaments lit up. sydney opera house sunset timelapse. AUSTRALIA, SYDNEY - APRIL 21, 2018: Timelapse of shopping centre in QVB, Queen Victoria Building in Sydney, Australia. Illustrative editorial footage. 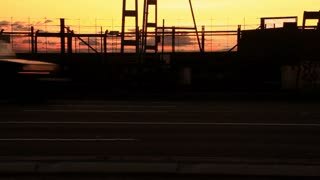 Time lapse of the Sydney Harbour Bridge and the Opera house. The weather changes dramatically as the blue sky turns into rolling dark, stormy clouds.